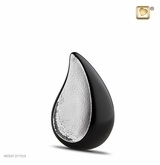 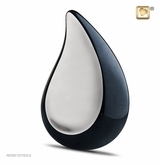 Tear Drop Hammered Silver Keepsake Cremation Urn for ashes is made of handcrafted solid brass with midnight tone (lustrous dark gray) finish and hammered silver and protected with GlossCoat. 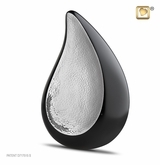 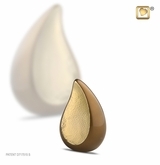 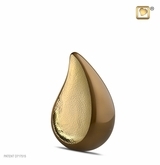 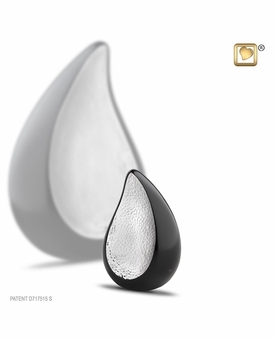 This beautifully designed urn is crafted in the shape of a teardrop, the classic symbol of mourning and remembrance. 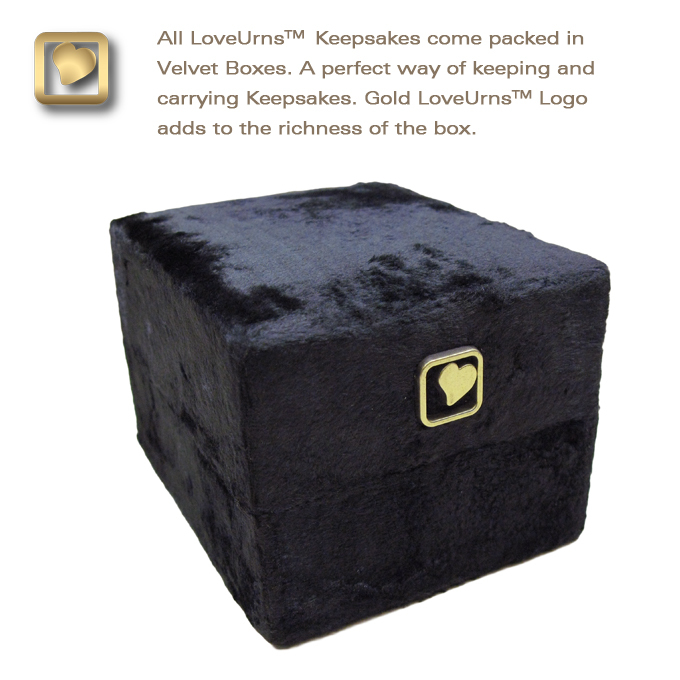 Includes a velvet box.